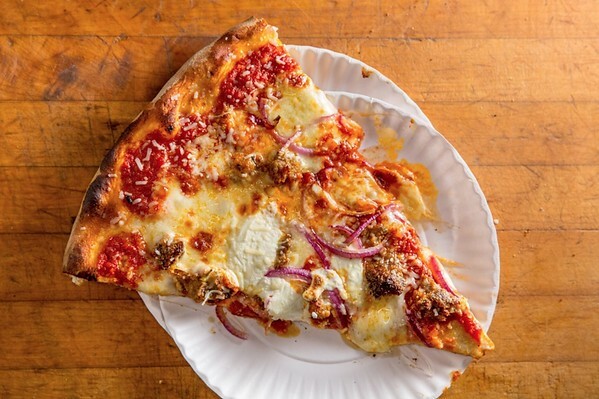 NEWINGTON - The Newington community will be the first in Connecticut to experience what is a “cult-favorite” pizza among New Yorkers. The famed Artichoke Basille’s Pizza is opening its very first shop in the state at 2391 Berlin Turnpike, Newington, next week. The newly constructed building is also the franchise company’s first free-standing restaurant, among 12 other locations in New York, Miami and Berkeley, California. “This is our first venture into the suburbs so we’re certainly excited,” co-owner Francis Garcia said this week. The company was founded in 2008 by Garcia and his first cousin Sal Basille, both fourth-generation restaurateurs. The pizzaiolos have appeared on the Rachael Ray Show and two of their own Cooking Channel series, Pizza Masters and Pizza Cuz. They have welcomed franchisee Matt Rusconi into their family business, which is largely composed of relatives. The Avon resident has been involved with restaurant franchising for 11 years. He’s getting lessons directly from Garcia and Basille, who plan on putting on their New York-style pizza caps in Newington for the shop’s grand opening Feb. 14. 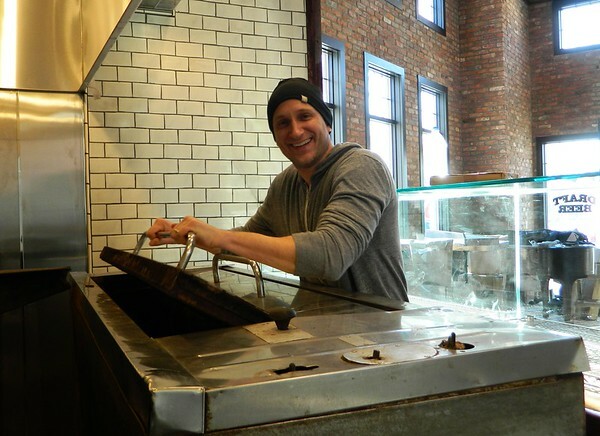 The cousins are so excited about their new location they decided it needed a dose of good luck, in the form of the original pizza oven from their very first restaurant, along with the original dough mixer. 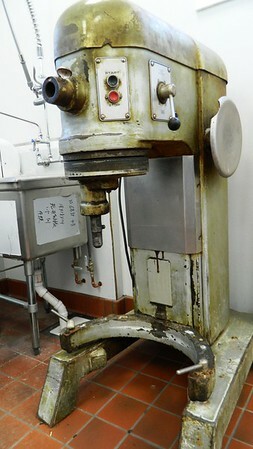 Both pieces of machinery are now up and running and ready to work in the 1,600-square-foot space. The trio decided to work together before they actually chose their Connecticut location. In addition to the authentic pizza-making equipment, the team also brought up special materials from the city to construct the new building. Elements like exposed brick, steel and antiqued tin pay homage to the family’s roots. The dining room seats up to 35 people and features a full-service bar. Rusconi has also brought in a piano. “We hope to get some local talent in here to play,” he said. The pizza itself is also unique, straying from the typical thin crust variety of most New York pizzerias. 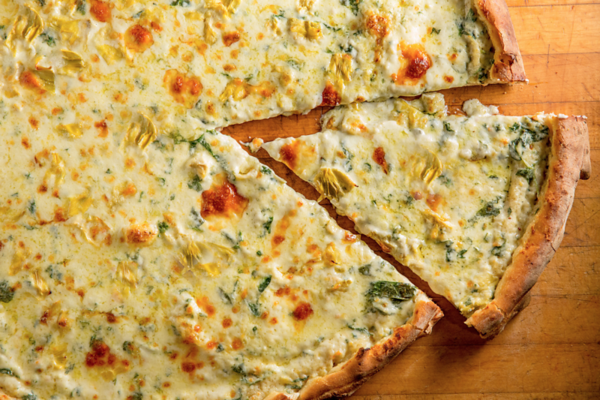 Artichoke’s thicker pie can hold lots of toppings, like the family’s signature artichoke cream sauce, along with Surimi crab meat and sausage pies. 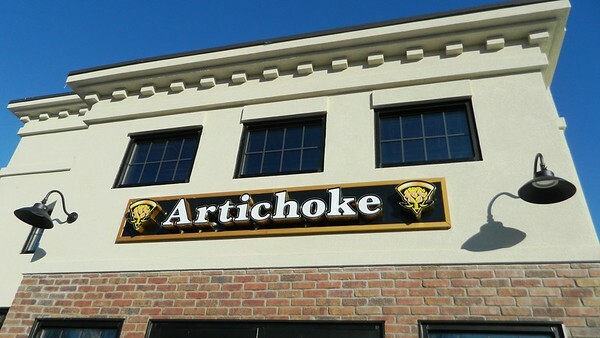 The ‘Artichoke slice’ is a meal in itself. The grand opening is set for Thursday, Feb. 14, with a Sweethearts Deal for Valentine’s Day. Customers can pick up two slices and two sodas for $9 all day long. The restaurant’s regular hours will be Sunday to Wednesday, 11 a.m. to 10 p.m. and Thursday to Saturday from 11 a.m. to midnight. Feb. 13, the night before the grand opening, residents are encouraged to stop by from 6 to 8 p.m. for a fundraiser for Newington High School’s Project Graduation. For a $10 donation, guests will receive a slice of pizza, soda and an Artichoke T-shirt. One-hundred percent of the proceeds will be donated to Project Graduation, which puts on a safe, substance-free party for NHS graduates after their commencement ceremony. Posted in Newington Town Crier, Newington News on Thursday, 7 February 2019 08:27. Updated: Thursday, 7 February 2019 08:29.